Would you like to easily get to work on your trekking bike? Or leave the city at the weekend and explore the surroundings? Then the Raise RT4S is the right bike for you. 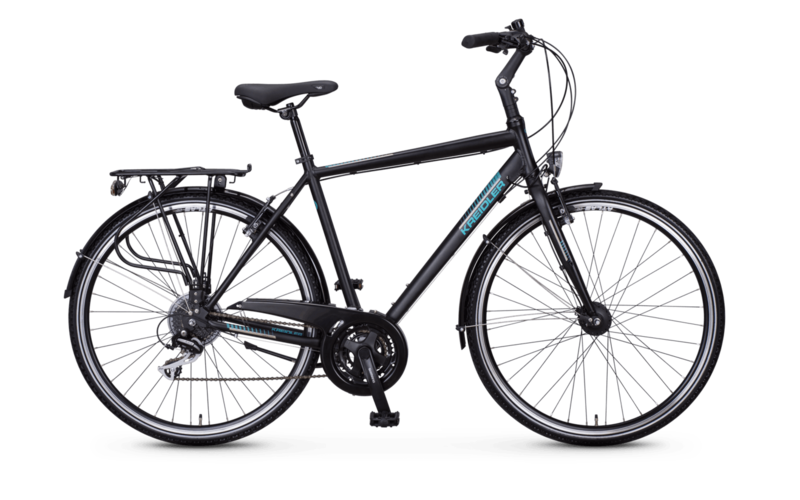 The versatile trekking bike is characterised by dynamics and manoeuvrability. Wind your way effortlessly through rush hour traffic or embark on tours in rural regions. Shimano's 24-cassette allows dynamic and precise shifting. Thanks to finely tuned gears, you can easily master varied routes. You can easily bring your trekking bike to a standstill with powerful, reliable V-brakes. See and be seen: When your working day begins at dusk or if your tour lasts into the evening, the RT4S impresses with its bright AXA lighting system - both in the front and rear with a practical parking light function.